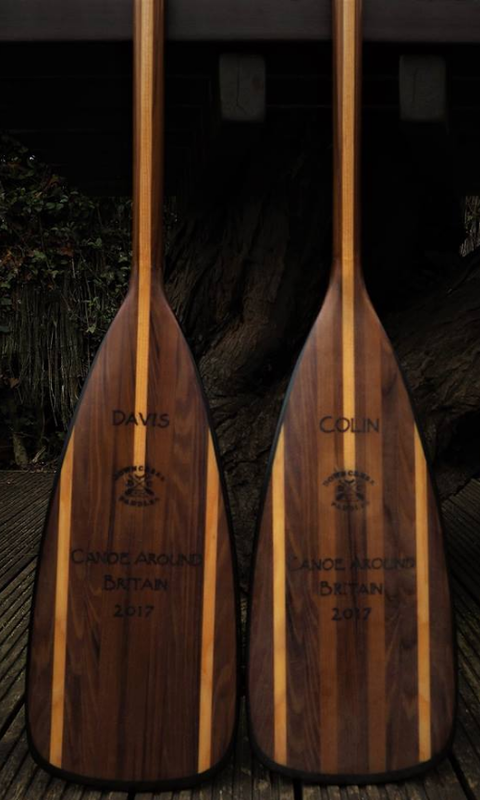 On Monday 24 July 2017, together with his nephew Davis Gould-Duff, former Halifax Police Inspector Colin Skeath completed a circumnavigation of the mainland UK by Open Canoe which has never been done before. Starting in Strontian on the west coast of Scotland on the 30 April the 2 men covered a total of 2064 miles over 86 days with several challenging sea crossings including Wales to Northern Ireland. The pair were raising money for the Forget Me Not Children’s Hospice in Huddersfield. “The journey was as difficult as anything I have undertaken and tested my leadership, courage and determination. I found the daily decision making of embarking on a voyage stressful, with dire consequences if we got it wrong! “In so many ways It has been a massive learning experience for me. At the forefront of this is my conviction that the most important thing we have is other people. “Now, as I am at home reviewing communications and not as engrossed, I have been “blown away” by everyone’s messages of congratulations. I have been stunned by some of the activities that were on going in the Police and Council to welcome me home. I know that people have worked really hard and given themselves, to raise money for the Forget Me Not Children’s Hospice. Visit Canoe Around Britain on Facebook for videos and more.